The weather has already started getting dry and slightly less humid lately and the skin on my body has too. While it still hasn’t gotten excessively dry or flaky yet, my legs are quite itchy and irritated by the end of the day when regular moisturizer wears off. I do love body oils to do the job effectively, but these are three really lovely body lotions that I’m switching up currently that I love. 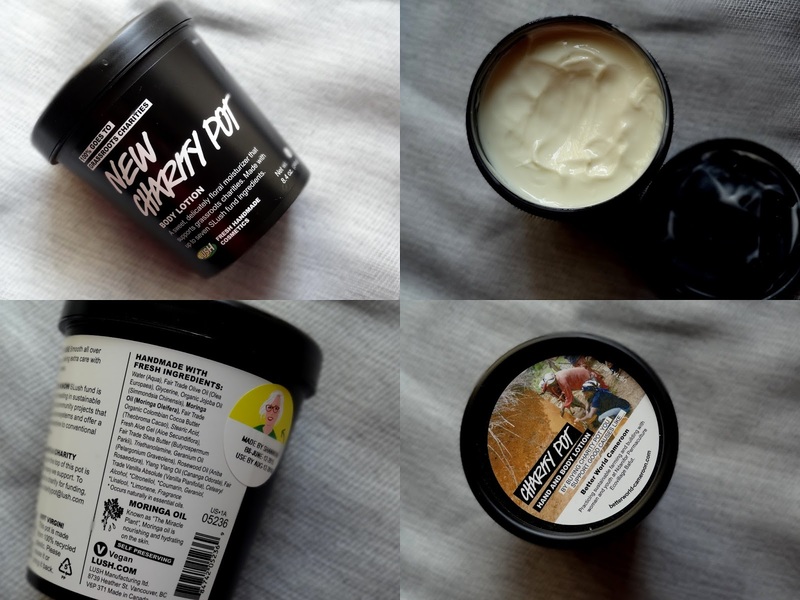 Lush New Charity Pot Hand and Body Lotion ($22.95; lushusa.com) - Lush has a lot of hits and misses among their body care line, with quite a few hidden gems that I’ve only recently discovered. The solid body butters are a nice way to moisturize, but it is such a chore to use and very unhygienic too, so I wanted to venture into their creamy body lotions. New Charity Pot is a hand and body lotion that feels more like a thick body butter and was recently reformulated I believe. Never tried the older version, but I quite like this one. You only need a tiny bit every time and it can get a tad greasy until it is fully absorbed. The scent is nice, but not everyone will like it. It has calmed and soothed down quite a few rough, dry patches on my elbows, knees and makes my skin super soft and healthy. I do think it is pretty expensive for what it does, but a nice luxury for dry skin and doubles up as a nice hand/cuticle cream for the night. The ingredients are good enough to use on the face too, if your skin isn’t breakout prone or too sensitive. First Aid Beauty Ultra Repair Cream Intense Therapy ($30; sephora.com) - Love this stuff for my body and sometimes face too. It is fragrance-free, but I can smell a hint of something minty and medicinal in there and that doesn’t linger for too long or interfere with my perfume. 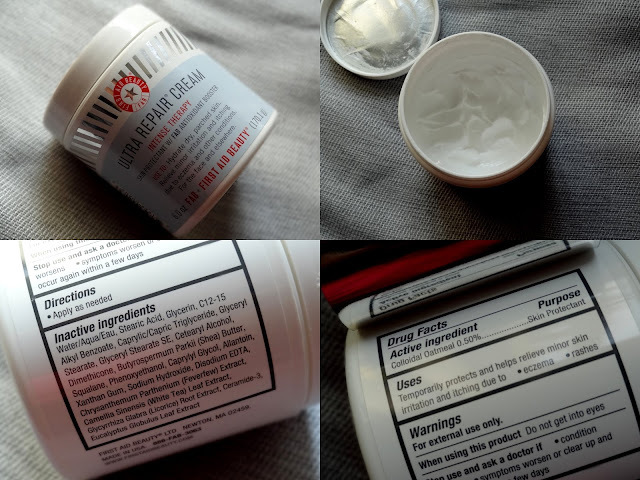 The cream is a gorgeous whipped, lightweight consistency that sinks in super quick. It is very soothing on itchy, dry skin and holds in moisture well. Its an all purpose cream that I’d always like to have in my skincare stash. There’s also a lighter lotion that FAB makes, which is just as fabulous. Curel Rough Skin Rescue ($8.99; walgreens.com; press sample) - Its a simple everyday lotion that is AHA based, fragrance-free and helps with exfoliating and hydrating dry skin. Not too sticky, absorbs fairly quickly and doesn’t smell of anything in particular- just a light medicinal scent that isn’t too overwhelming. I use this on and off only for my legs and they don’t get that much sun exposure, but if you use it all over the body, it may leave it sensitive enough to want to follow up with a sunscreen. That apart, it is quite an effective lotion that also claims to help sort many other dry skin issues associated with psoriasis and keratosis pilaris and is wallet-friendly too! Cetaphil Restoraderm Eczema Calming Body Moisturizer is also very good. It's more expensive than the Curel but definitely cheaper than the FAB one.